Having discussed the potential changes that will take place in the SSD market in our previous article, we now turn our attention to the performance of SSDs that feature the latest NAND Flash components, controller chips, and firmware. In order to facilitate the testing procedures, we have divided the samples we received into two groups: the 120GB level SSDs and 256GB SSDs. Apacer's SFD 25A-M, which uses the company's SCJC72 controller chip and Toshiba's 19nm NAND Flash chip, is one of the more affordable SSDs out there that features an above average performance. Its reading and writing speeds during the performance test were 511.64MB/s and 299.12MB/s, respectively. Under the AS SSD benchmark test, both the reading and writing performances of Apacer SFD 25A-M turned out to be similar to what we had expected. The product’s read speeds, in particular, were almost identical to Apacer’s official specs. 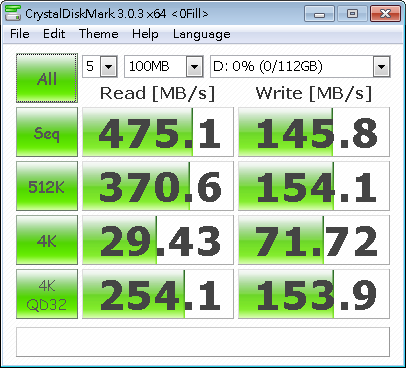 As was the case with the AS SSD test, Apacer's SSD read performance excelled under the CrystalDiskMark test. The 512K, 4K, and 4K QD32 write speeds were all within normal range despite being lower than the 1024K speed. 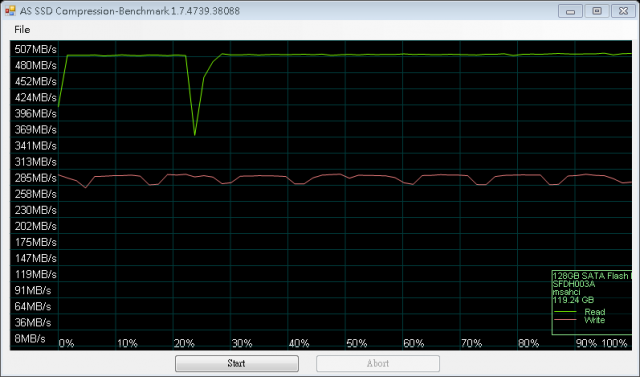 SFD 25A-M's read and write speeds in the IOMETER test were both highly impressive. Chuangjiu Technology's competitively priced JM667H is an all-new SATA 3 SSD that features the MLC NAND Flash chip and JMF667H controller chip. The JM667H ran smoothly when tested on AS SSD, showing only mild fluctuations. By the end of the evaluation, the SSD received a total score of 962, which is relatively impressive compared to most of the SSDs tested. Under the CrystalDiskMark evaluation, Chuangjiu’s product performed reasonably well, particularly in the 4K and 4K QD32 categories. Both the read and write scores received by JM667H in IOMETER turned out to be equally strong. The F8 SSD model from KingFast, known to be one of the most affordable and common 128GB SSDs on the market, uses the JMF667H controller chip and NAND Flash chip from Intel and Micron. Under the AS SSD test, KingFast’s F8 managed to perform reasonably well with the reading-related tasks, but fell short of expectations with its writing performance. 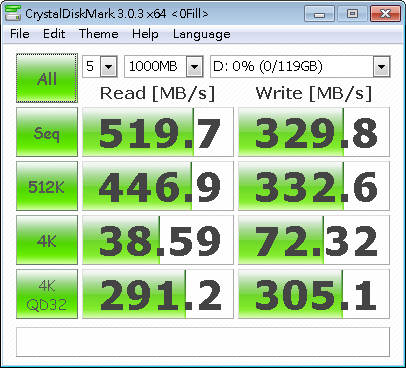 Its overall performance rating, at 632, is slightly behind those of the other SSD brands. The CrystalDiskMark results for F8 showed noticeable inconsistencies despite the SSD's use of JMicron's controller chip. This is likely due to the limitations of its existing NAND Flash component. The reading score, however, did turn out satisfactory. F8's IO Meter scores are decent even though the write figure does not reflect the scores from the previous tests. The SSD from Kingmax that we tested was the 128 GB model from its SMU32 Client Pro series. The main components used in this model include SandForce's SF-2281 controller chip and Micron and Intel's NAND Flash chip. 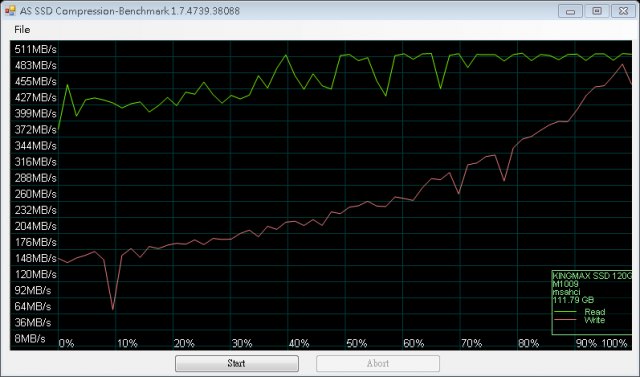 The AS SSD benchmark graph showed some minor fluctuations in read speed, while the write speed showed a steady curve that rose consistently. The total AS SSD rating received by SMU32 is among the lowest in its category. SMU32 showed noticeably good results in the Sequentia, 512K, and 4K tests, but performed less well in the 4K QD32 test. Perhaps due to the use of a relatively old processor, the IOPS score received by SMU32 was not as impressive as that of the other products. Crucial's M550 has become one of the market's hottest items in recent years. Even though the company isn't quite as popular as Intel or OCZ, its products’ reputation is growing thanks to their affordable price. Crucial offers the M550 in a variety of capacities in order to satisfy the needs of different consumers. The SSD's main components include Marvell's 88SS9189 controller chip and Micron's 20nm MLC NAND Flash chip. 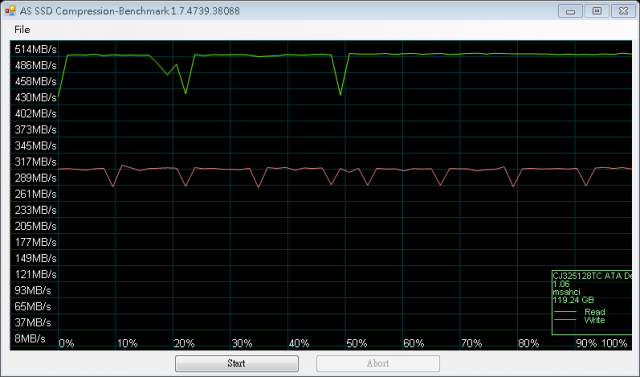 In the AS SSD graph, the M550’s read and write speeds are shown to be relatively steady, with almost no major fluctuations from start to finish. Aside from a few minor differences, the numbers are generally consistent with the company's official specs. 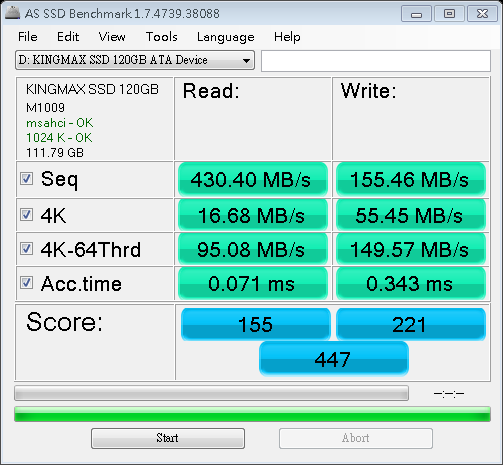 The SSD's 1012 score is currently the highest among the models tested. Crucial M550’s performances in the CrystalDiskMark test were highly noteworthy, particularly in the "Seq” category. All of the other results were in the standard range. The scores received in the IOMETER benchmark test, like the above figures, were highly impressive. 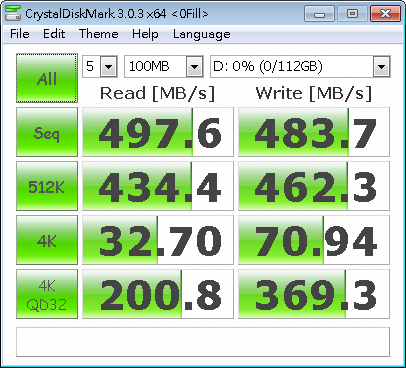 The SSD model Kingspec delivered to us was the C30007 M128 SSD. According to the company's official numbers, the C30007’s read and write speeds are capable of reaching 470MB/s and 200MB/s, respectively. Kingspec’s AS SSD performance rating ended at an impressive 909, making it one of the best in the 128GB category. The result in CrystalDiskMark was equally impressive. M128 showed a similarly great IOMETER score, which ranks second among the tested SSDs. 128GB SSDs are generally suitable for entry level users and computing devices like Notebooks and Desktops. The product is also good for system products, and can be equipped with additional hard disk drives.